Not everyone can or will go vegan and i understand this completely, you can’t force it upon people… instead i think inspiring people to want to try more plant based or doing other little things in life can be a more positive impact and influence on people. Though that is just my opinion. From different groups i am in on Facebook, many people have gotten their partners, friends and family to eat more plant based since they have gone vegan and it is the same for me, so one person can inspire many and then those can inspire even more! You have to start somewhere. But also some people can’t go vegan even if they may want to, for example during eating disorder recovery, sick from certain illnesses, have malapsorption issues or other reasons and then they can do other things which will still have an impact even if they may not be able to eat 100% plant based. In recovery i dont personally recommend a vegan diet – mostly because it CAN be restrictive if you have the wrong mindset. If you eat plant based just to avoid certain foods due to guilt or anxiety or because plant based foods are safe foods, then its not a healthy relationship with food. In recovery from an eating disorder i think its best to be open to all types of food, to not have labels or restrictions not focus on what you can/cant (choose/choose not to) eat. But also that in the beginning when you turn vegan it does require you to read labels and ingredients on food, at times if you arent prepared you might end up not being able to eat anything when out with friends or feeling like an inconvenience when you go to eat at other peoples places etc Not to mention that you need to be more aware of preparing food, food combining etc It can put alot of focus on food, when in recovery its best to not focus so much on food and more on life and living and recovering and not having a bad relationship with food. Also i understand that not everyone can be vegan for health reasons as well as many just dont want to be, they dont want to give up animal products. Everyone has a choice. However, even if you cant or dont want to go vegan for whatever reason there are still things you can do for the planet and for the animals and sometimes you dont realise that small changes can make a difference in the long term! Ive gotten alot of questions about what a person can do even if they cant eat a plant based diet, so here are some suggestions. I hope this helps someone and remember DONT EVER feel guilty for eating – no matter what it is you eat. I much prefer to inspire and encourage changes and plant based eating instead of guilt shaming or making someone feel bad for their choices. Instead i can atleast try to encourage you to make small changes which are possible or to make you think a little different about certain things!! I found this article: http://theminimalistvegan.com/live-a-more-sustainable-lifestyle/ and i loved it and thought i should share. I have been planning to write a similar post, but this one inclused so many more tips than i could give so i thought it would be good to just link to that post. 2) Compost – if possible. 3) Turn off the lights and electronics when not used and dont chare things if they dont need to be charged. 4) Carpool, take public transport, walk/cycle if possible instead of everyone driving individually. 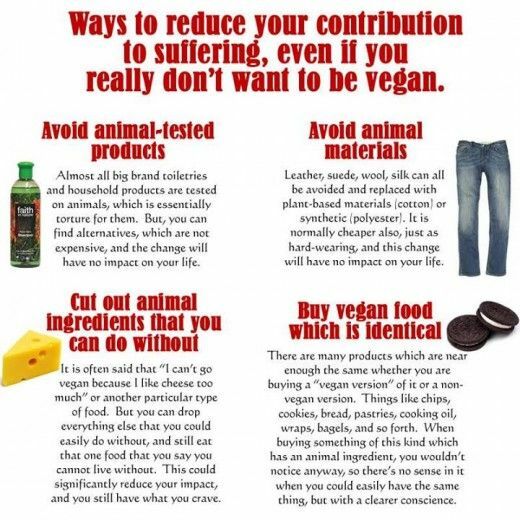 5) If possible try to use alternatives to meat and dairy, or if you can have maybe one or two vegan meals or days during the week? 6) Dont take plastic bags at the store – always bring your own bags, as much as possible anyway! 7) Sign petitions if they seem legit and helpful. 9) Dont support companies that abuse or test on animals. 10) Dont go to aquariaums or zoo’s – its animal abuse to keep them trapped, unless the animals need to be protected due to almost going extinct, but that is another thing. Keeping animals trapped in glass cages just so that people can stare at them – that is animal abuse. 11) Sending emails, reading papers online and limiting use of paper. I KNOW many people have different opinions on this, because well if nobody reads the paper then they will go out of business and people will lose jobs. I mean, if everyone stopped reading the newspaper in Sweden there are many people i know who will lose their job because of that. But at the same time, think about all the paper being used and not all of it is being recycled either. 12) The same thing with books – reading ebooks is alot better, but then there is the fact that holding or buying a favourite book is a pretty damn good feeling. But then maybe borrow the book from the library, or only have your favourite books as book copis. 13) Second hand stores for clothes! 14) Try to not buy clothes or from stores where child labour or slaves have been used to make the clothes – this of course can be hard to know, but there are certain brands which se child labour and those i am against. 15) Second hand stores for furniture or other items. 16) Remember to turn off the water when brushing your teeth so it is not just running, but also not use excess water when showering or taking a bath or just in general. I.e dont put on the dishwasher when its half full! 17) Instead of throwing away old things maybe give them to charity or second hand? Or reinvent them to something new? If not – recycle i.e if its a broken tv, throw it away in the right place and not just out in the forest as some people tend to do. These are just some of the tips i could think of now! And i know people have different opinons and might think some tips are silly or no point, but they do make a difference. I mean if you can buy 60% of your clothes from second hand and 40% from normal stores or if you can limit the amount of water used or electricity used or to begin walking or taking the bus to work it makes a difference!! I wont ever push veganism down peoples throats but everone can make a difference nonetheless! You can buy second hand books from amazon for as little as a few pence. I do this all the time as I love a “real” book rather than just read on my kindle all the time – and by buying second hand you are not only saving money but making use of something that would have probably been thrown away! I also use the library a lot – I have discovered that they will order title that you want to read if you cannot find it on the shelves – and its free! We also get a lot of charity bags put through the door where I live so that comes in useful for getting rid of unwanted clothes etc. I totally agree with you on this and all your points. Great post 🙂 Every bit does count. I think it is that too many people are living to the extreme, of consuming too many clothes, eating processed meat every meal, going to zoos etc etc. Of we all just had more of a balance and yea at least tried 1 or 2 plant based meals a day and only consumed things we Needed, and many more things second hand, it would change and help the world. We don’t need to force everyone to be fully vegan or they fail at life! That’ll push people away i think .